You don’t have to choose between a formal garden and a family friendly outdoor space to build lasting memories. This backyard design includes a hearth to gather around while watching the game on the outdoor TV. 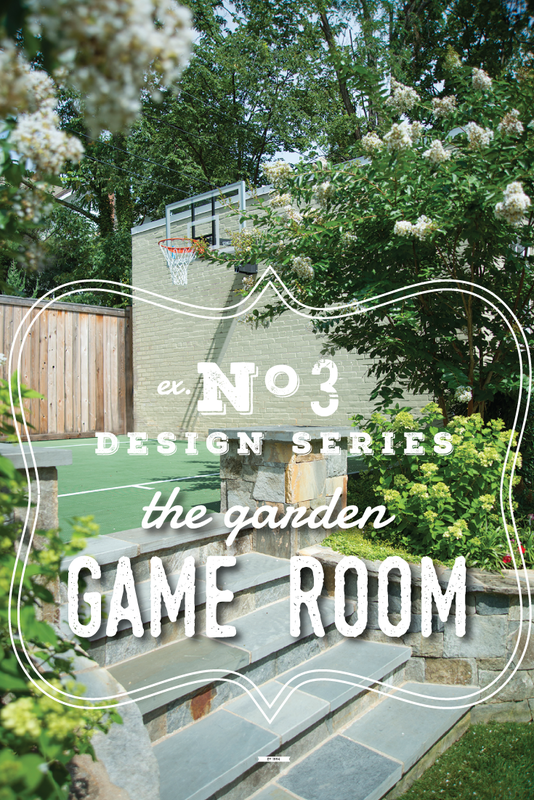 An adjoining basketball court for shooting hoops with the kids is surrounded by custom hardscaping featuring diagonal flagstone with brick ribbons add depth and sophistication to the design. This is one of our most popular projects on Houzz. Click through the images below to view the full garden design.